Rebecca Zung, Esq. and Susan Guthrie, Esq. 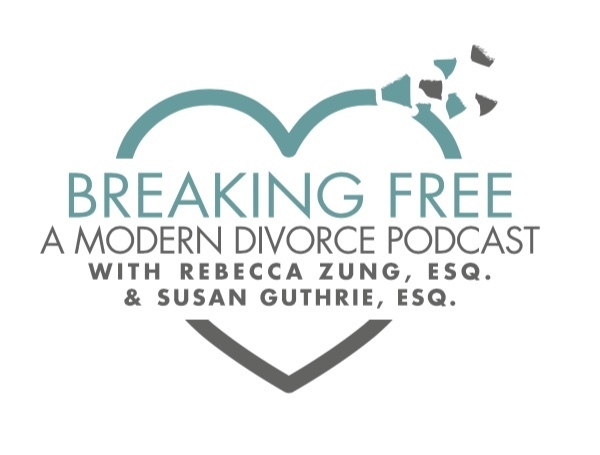 interview renowned meditation and energy expert, Scott Picard, on Breaking Free: A Modern Divorce Podcast. Are you gripped with fear about the future? Having trouble focusing because your divorce or life transition is keeping you awake at night? It is proven that stress can wreak havoc on your body by raising your cortisol levels, causing autoimmune disorders, and heart attacks. This week's topic is From Chaos to Clarity: Using Meditation and Mindfulness to Deal With Life's Transitions. Rebecca and Susan interview renowned Meditation and Energy Expert, Scott Picard. Trained as a dancer and gymnast in Montana, Scott Picard understood the intrinsic wisdom and power of the physical body from a very early age. As he moved into his twenties and made his way out into the world, he abandoned these practices entirely. It wasn’t until he met his teacher, Dominique Sire, that he was able to reengage to this meaningful way of life and truly appreciate the profound wisdom the body holds. Working with Dominique he saw his life and relationships transform in ways he could never have imagined. After over a decade of studying, Scott took the next natural step and began teaching. Scott’s passion for this work of using the body and movement to gather insight into the myriad complexities of the human condition, allowed him to discover and expand his relationship to the earth, others and himself. Using these principles he is able to access the humanity we each hold. Acting as a compassionate guide, he leads women and men of all ages and backgrounds to find a deeper connection to their own lives, to others, and to the world around them. His groundbreaking work has been featured in Vogue and the LA Times. The inclusive power of Scott’s work welcomes people from all diverse walks of life. From A list celebrities to teachers and CEOs, Scott works with individuals, couples, groups and companies worldwide. Scott provides some expert techniques for calming your head, mind and emotions in just moments. Everyone experiences high emotions during difficult periods in their lives. Tune in to this episode to get the tools to learn how to deal with them productively.